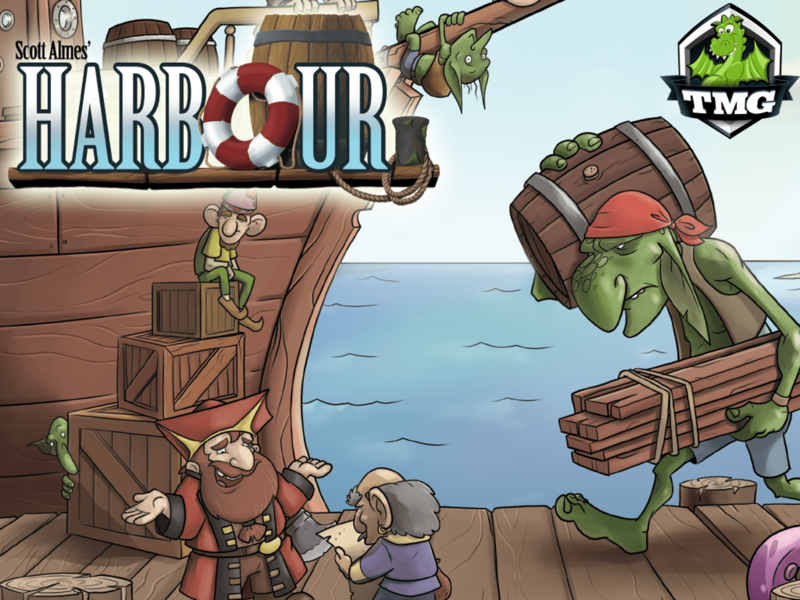 Harbour is another of Scott Almes brilliant small games. It’s fun, easy to teach, quick to play and has a lot of depth. 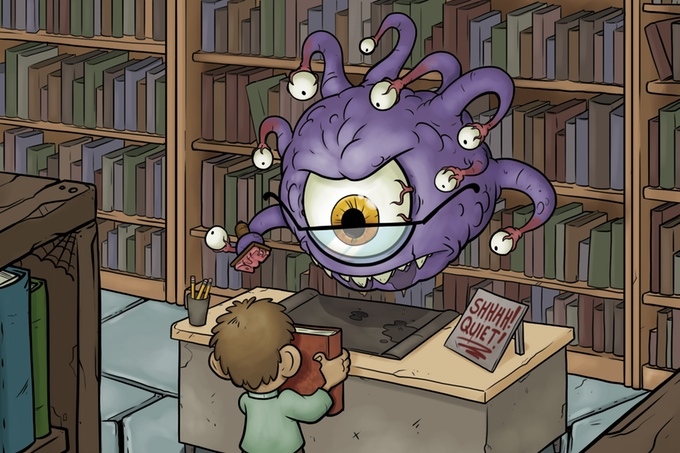 Published by Tasty Minstrel Games it’s one of those games you want to keep playing. 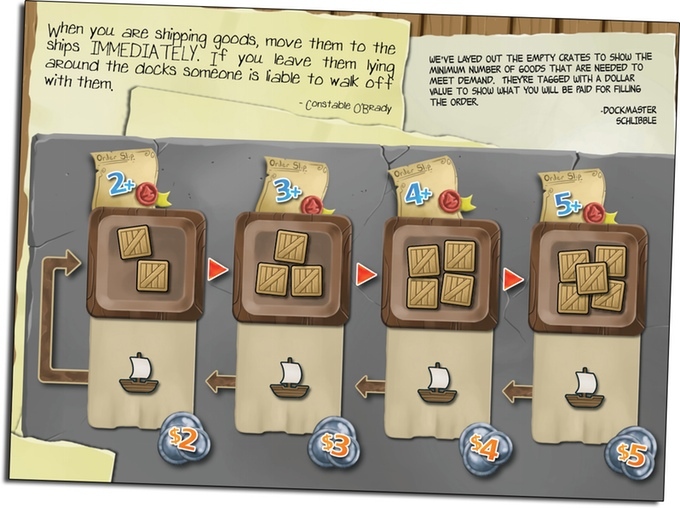 The rules for Harbour are pretty simple, as evident by the small foldout rulebook. 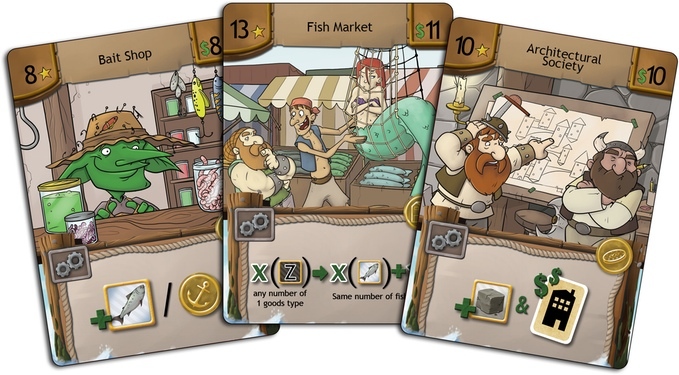 Players take turns moving their one meeple around the different buildings to increase the 4 different types of goods they own (stone, wood, fish and livestock). These goods can be traded in for gold via the market, that’s used for buying buildings (that will earn you victory points at the end of the game). The trick is you can’t keep gold, so you’ll have make sure that you can get enough gold for the building you want in one go. This is made even more difficult by the fact that every time some sells goods at the market the market value changes, so what you had that was worth a lot might not be worth next to nothing when it’s your turn again. 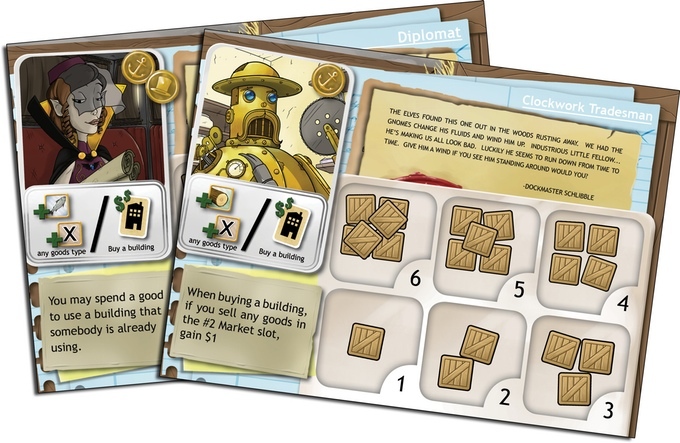 Moving the meeple around is also interesting since they can go anywhere, on your buildings, on the common buildings not bought yet, even on your opponent’s buildings (though you have to pay them a good). Each building will give the player different options (getting more goods, buying buildings etc. ), but you always have to move your meeple and you can never move to where someone else already has a meeple. After a player has bought his or her 4th building all other players get a final turn, and the game ends. The person with the most victory points win. This is a great game. The rules are easy to understand and the game seems almost too simple, until you start playing it that is. There are lots of critical decisions to be made all the time, and the market squares keep changing, so one second you have something very valuable, the next second it’s worth close to nothing. The massive amount of starting characters and buildings makes every game different. This game is a blast to play, quick to set-up and play. Rules are easy to explain so you’ll be playing in no time. Right of the bad you are interacting, trading, yelling at each for taking the spot you wanted. All in good fun. Also the flavour text on most cards can be a blast to read. The theme of game isn’t very tied to how the game plays. I feels a bit mechanical and pasted on. But the overall it works well though and the art ties it all nicely together. The game has very distinct style, and that style dominates everything. You might be a fan of the cartoony nature of it, but I think it work great for games like this and that it looks great. The rules for the game are pretty simple and easy to understand.